Rust & Pink | Flickr - Photo Sharing! shafina, Bonnie BonBon, pigmeat, and 41 other people added this photo to their favorites. where in brigton is this? Not at all, thanks for using it! this is gorgeaus! i'm totally going to paint my door pink now! This is amazing. The colors, the subject, everything! 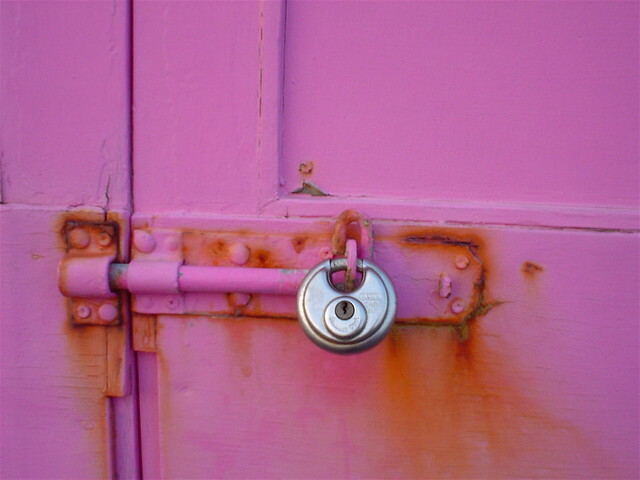 Love pink & orange (rust) together & the shiny new lock nicely draws the eye. Great composition! Hi, I'm an admin for a group called All in Pink *♥ (All with Pink) ♥*, and we'd love to have this added to the group!